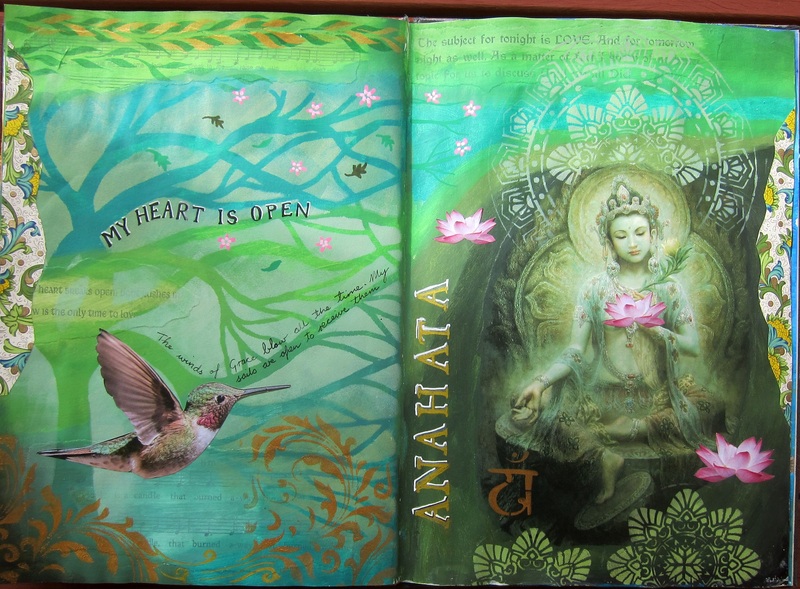 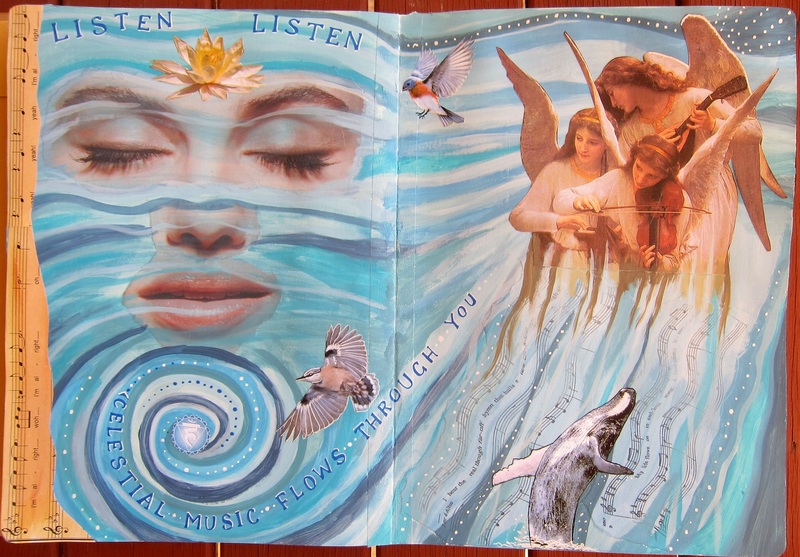 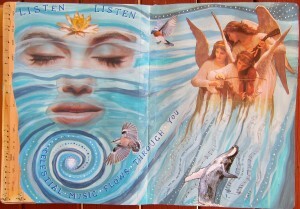 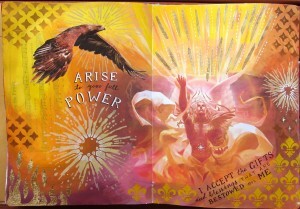 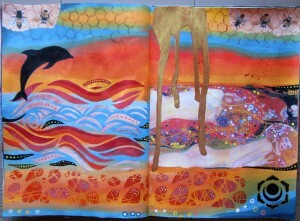 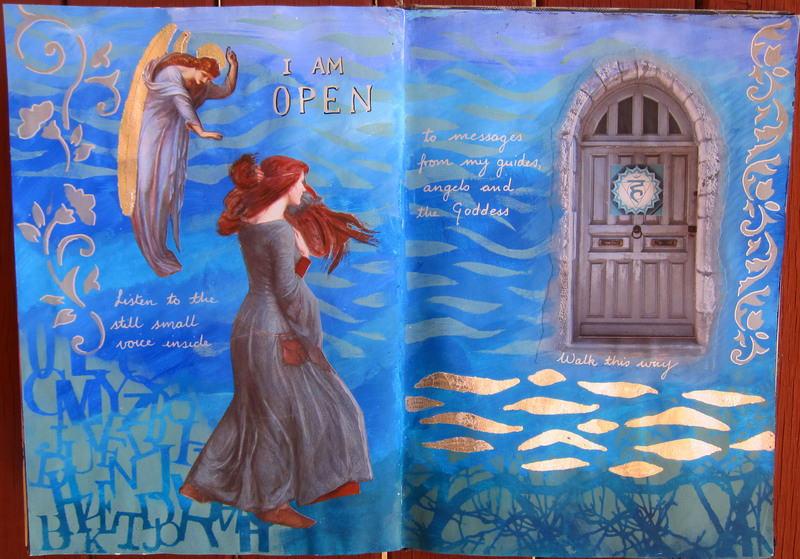 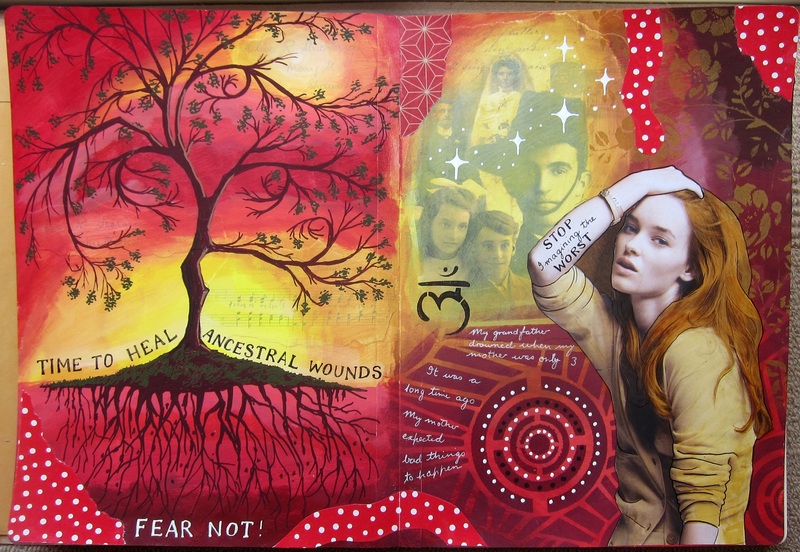 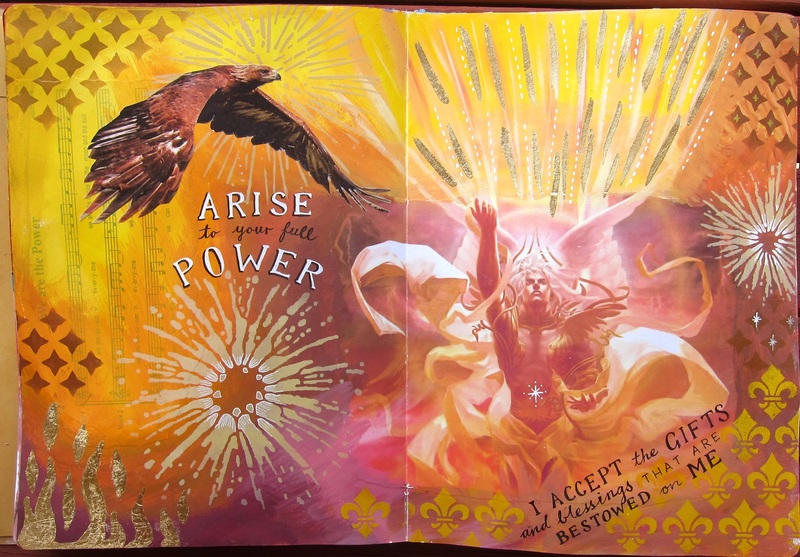 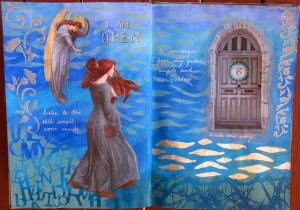 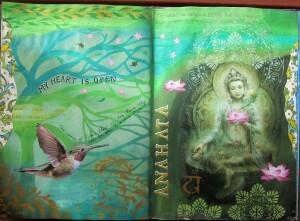 Earlier this year I taught a series of art journaling classes on the 7 chakras. 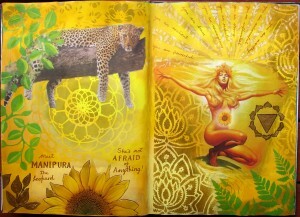 We focused on one chakra per class, exploring the colours and themes of each chakra on a journal spread. 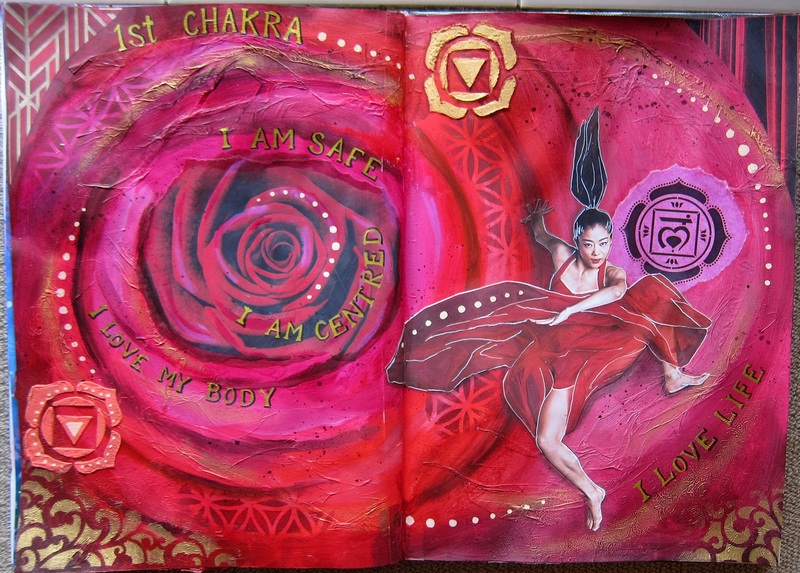 I created some art journal pages on the chakras myself before each class, to provide some ideas and inspiration. 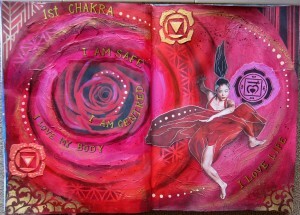 Here are some of my chakra pages.